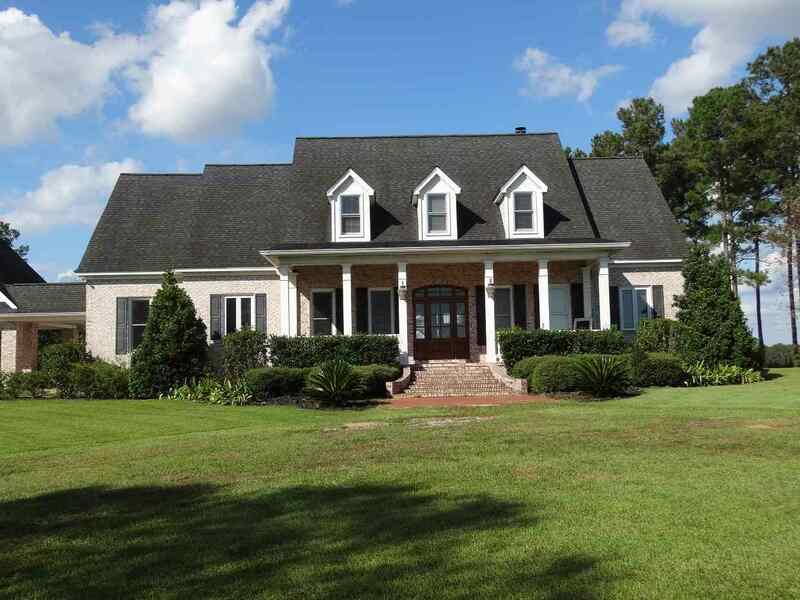 Custom Built Brick Beauty on 23 Private Acres! Over 4000 sf of Fine Southern Living! Downstairs features: Custom eat-in kitchen, family room with wood burning fireplace, dining room with wet bar, extra large mud room, master bedroom suite, additional two bedrooms downstairs. Upstairs features: large family room/game room with kitchenette/wet bar, playroom, two bedrooms and two full baths. Additional features: wood floors, extensive moldings, built in desk/work area, front porch, large brick patio, outdoor shower. Outdoor living includes a covered cooking patio with smoker, great for the outdoor lover! Additional outbuilding can be kids playhouse or she/he shed. Stunning home on stunning land with great views all around.